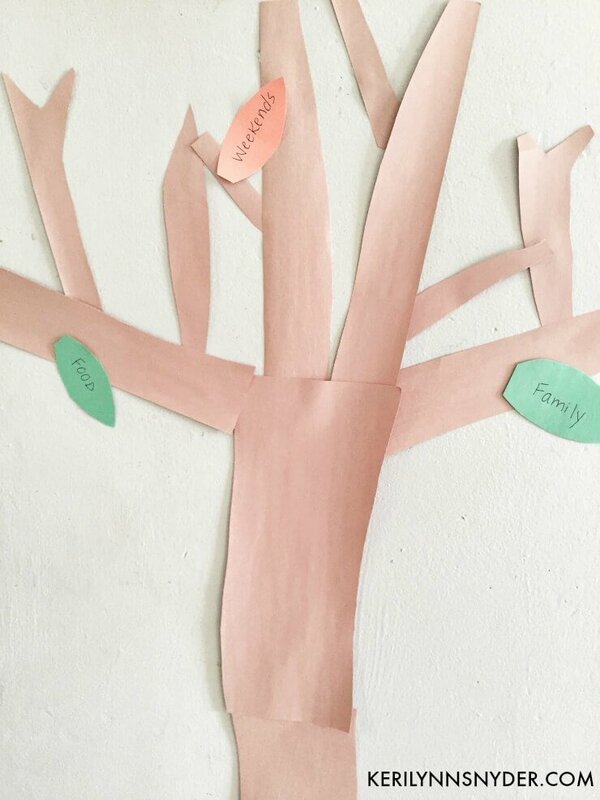 Using a thankful tree in our home has been a fun way to focus on gratitude during November. It is a t tradition that we have had a for a few years. At the beginning of every November, we use one of our family connection times to prep the tree. 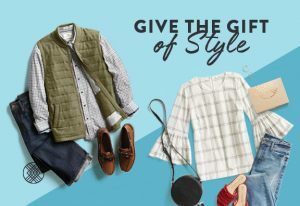 Finding meaningful ways to connect and grow as a family during holidays is a passion of mine. When we use a variety of tools, we are able to have the truth shared in multiple ways during the holidays. This November, we plan to use our turkey and the thankful tree. 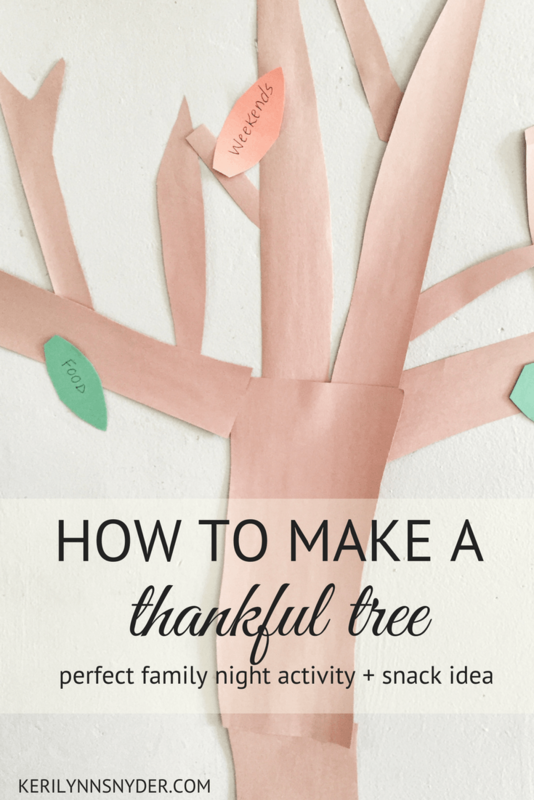 You can easily set up your own thankful tree as well! Create the trunk and branches. Remember it does not have to be perfect. 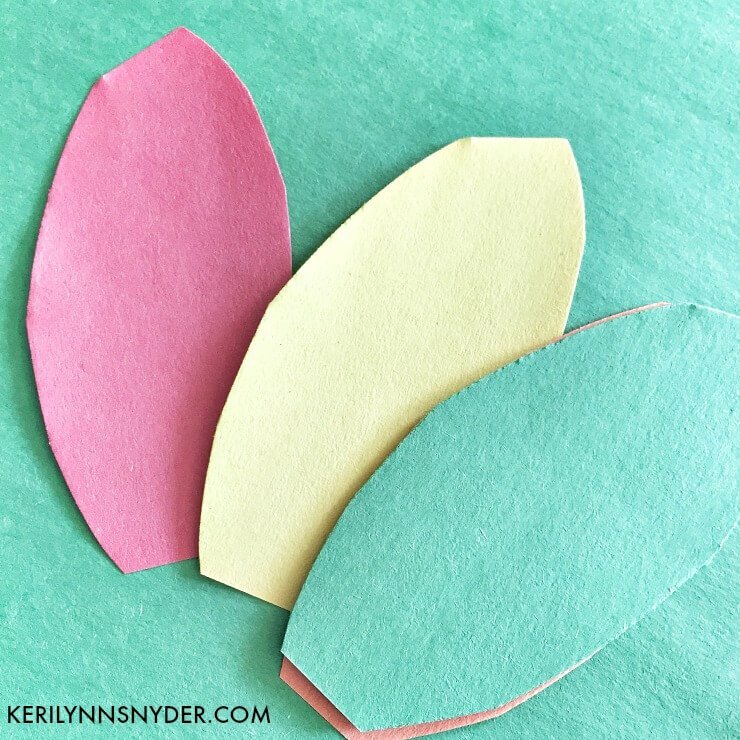 Cut out some leaves and use tape to hang the leaves. Leave out some pre-cut leaves or the supplies to cut the leaves nearby so you can regularly add to the tree. We love to add to the tree a few times a week. Our tree is in our dining room. If you do not want to tape to your walls, use a putty to attach yours. The amazing thing is that every year, we see fruits from this simple activity. Even for my husband and I it has become a simple reminder of focusing on all that is good instead of all that is lacking. Teaching gratitude will help your kids to start a lifetime way of thinking. Planting seeds into our children’s hearts about gratitude, helps form the perfect foundation for the Christmas season. Family night is not complete without a delicious snack! 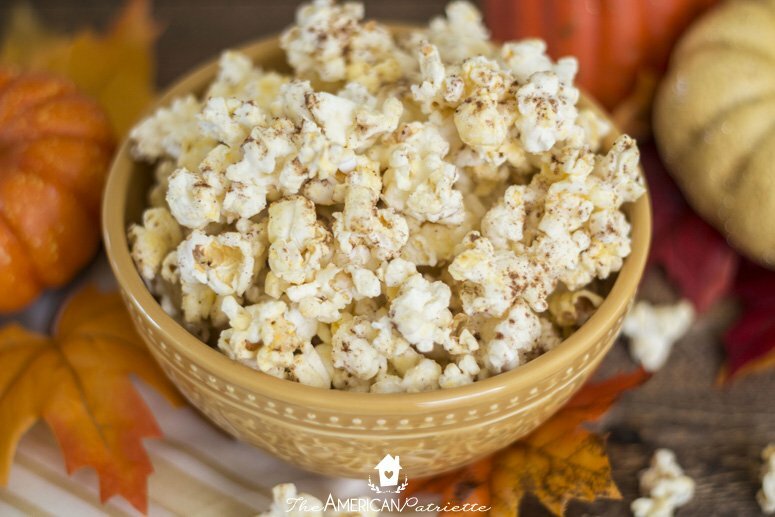 If you want a fall themed snack for your family night, you need to try Mauri’s recipe, Three Ingredient Pumpkin Spice Popcorn. 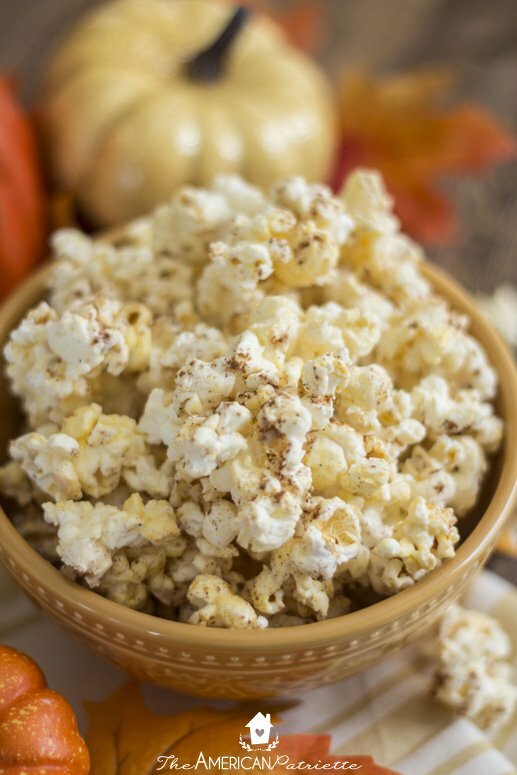 It is no secret that popcorn is a favorite over here and we love having some flavored popcorn! Mauri has a passion to encourage families to be intentional during meal times, I love her heart and know you will too! Make sure to check out the recipe and some of her other great posts! What about you? 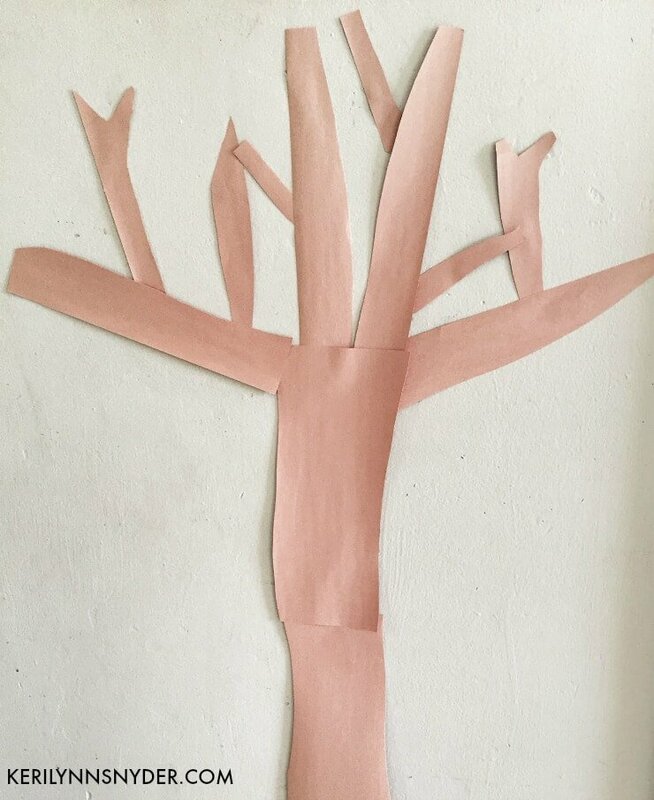 Have you ever made a thankful tree? How do you teach gratitude in your home? 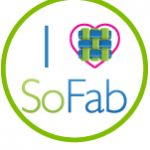 Remember to PIN this now for later! I love this Mauri! Such a perfect snack for this activity! !